Karol Lipinski was a Polish violinist, composer, and teacher born on October 30, 1790 (Beethoven was 20 years old.) He is famous for having been Paganini's rival and for the Stradivarius and Guarnerius violins which bear his name. From a very early age, he studied with his father, Felix Lipinski. In Vienna in 1814, he met Louis Spohr and was inspired to study further. He much later (1818) studied with a pupil of Tartini - a forgotten musician by the name of Mazzurana. By 1810, Lipinski was concertmaster of the opera orchestra in Lviv, Ukraine (a town about 250 miles southeast of Warsaw.) Two years later, he became its conductor. In 1817, he traveled to Italy and subsequently met Paganini in Milan. In April of 1818, he and Paganini gave two joint concerts, whereupon (of course) Lipinski's reputation soared. He went to Berlin and Russia in 1820. In Warsaw in 1829, he again played a series of concerts with Paganini, after which the two became rivals. Paganini later said "I don't know who the greatest violinist is, but Lipinski is certainly the second greatest." 1836 found him in England, where he played his second violin concerto (the Military) with the Royal Philharmonic. 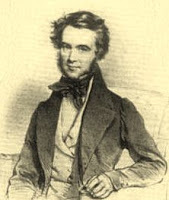 He more or less retired from touring after his appoinment to the posts of concertmaster and conductor of both, the Royal Oratory and the court chapel in Dresden in July of 1839. At least one source has stated that Lipinski was jealous of Richard Wagner when the composer conducted the Dresden orchestra. Supposedly, Wagner himself also spoke dismissively of Lipinski, describing him as a virtuoso of a bygone era. Several composers dedicated works to him, including Paganini, Schumann (Carnaval), and Wieniawski (Polonaise Brilliant.) Among Lipinski's compositions are four violin concertos, three symphonies, rondos, polonaises, caprices, chamber music, and variations - all of his output now forgotten, though some has been recorded. His Stradivarius (1715) is now played (though not owned) by Frank Almond, concertmaster of the Milwaukee Symphony. After setting up a music academy for young students, Lipinski died on December 16, 1861, at age 71. The Lipinski Strad was stolen on the night of January 27, 2014, near Milwaukee.